All quilts are a treat, but this one was a huge treat to piece and quilt! I had some Coming Up Roses fabric from Jillily Studios for Penny Rose Fabrics and decided to remake my Squared Away Cutie Quilt. What did we ever do without machine binding clips (affiliate link*)? I plan to travel with this quilt for the rest of 2017. Come and visit both of us! *If you buy something using an affiliate link I may, at no additional cost to you, receive a small commission to help keep this website running. Yesterday I showed a quilt that I quilted with my FabuLux Neon Blueberry thread. 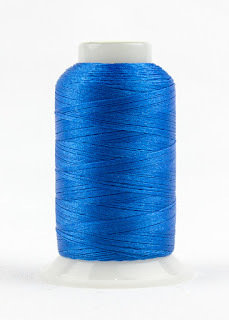 Many of my students look at a neon thread and get scared that it will make their quilting show up A LOT! It is not bright but it is busy, Busy, BUSY. OK, it's a little bright, but only the border and binding. You can't see the Blueberry FabuLux in a photo taken six feet away. That is Blueberry FabuLux (with one line of blue marker that I haven't yet removed). My backing is a white fabric with a fine black print on it. 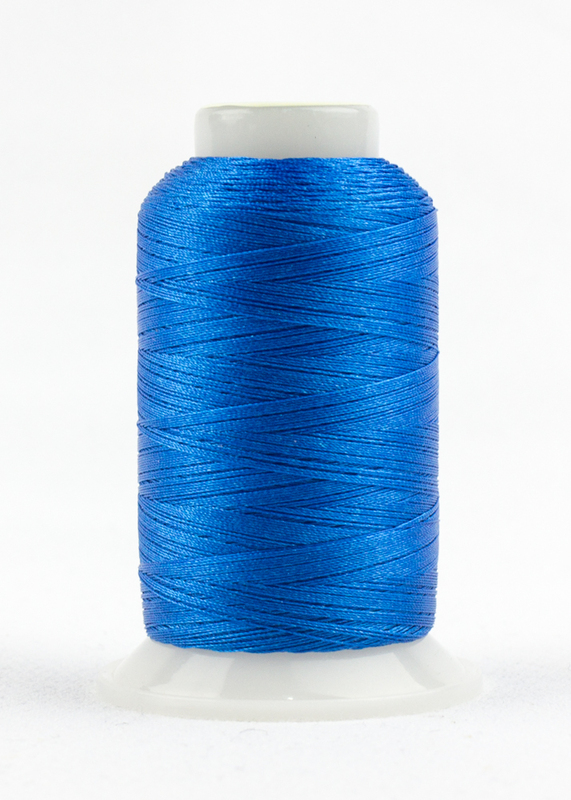 I didn't use this bright thread in my bobbin. I used gray DecoBob instead. The gray blended with the Blueberry and also made a great stitch on the back. The bobbin lasts longer with a finer thread and this quilt took less than two size-15 bobbins (home sewing machine size). Do you have any bright threads that are too scary to use? Check your stash to see if you have any fabric (or complete tops!) that might carry that thread well! I tried to mimic the twisting check with the quilting pattern and I'm so excited about how it turned out! I'm having so much fun making these Share and Share Alike Cutie Quilts. 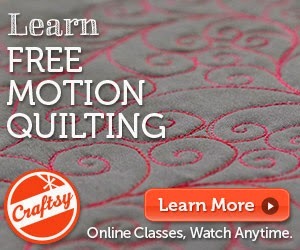 They are quick to make, fun to quilt, and a great size for babies. Since I'm surrounded by babies and expecting many more, you'll have try to not be bored with all of the photos of this quilt in all different fabrics!